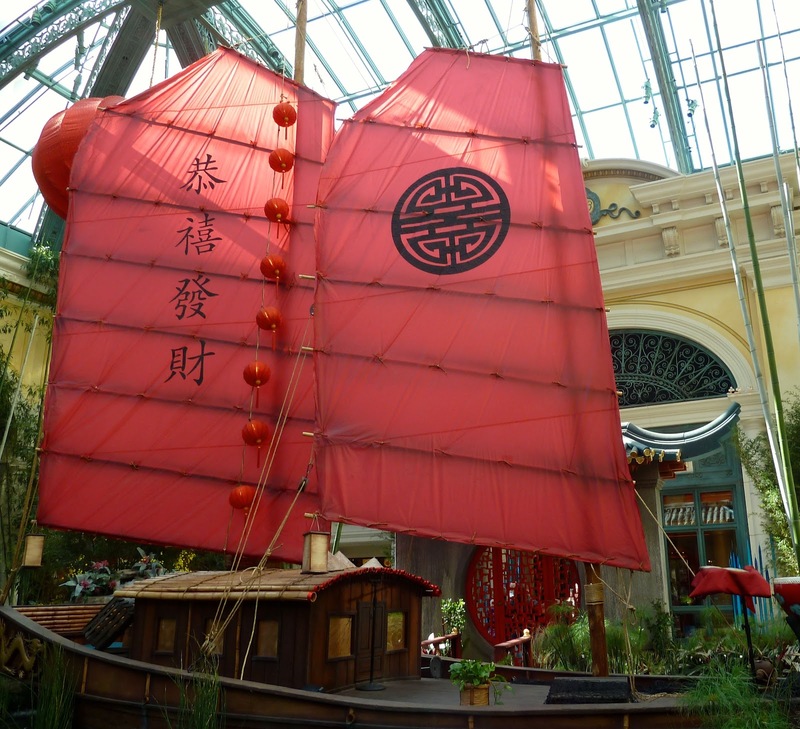 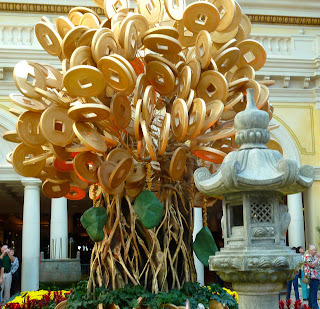 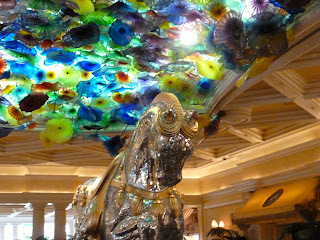 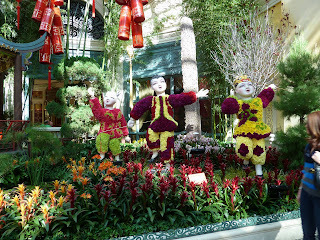 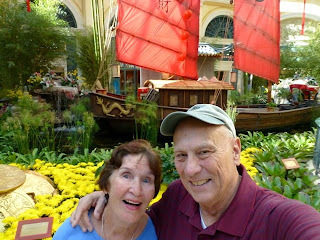 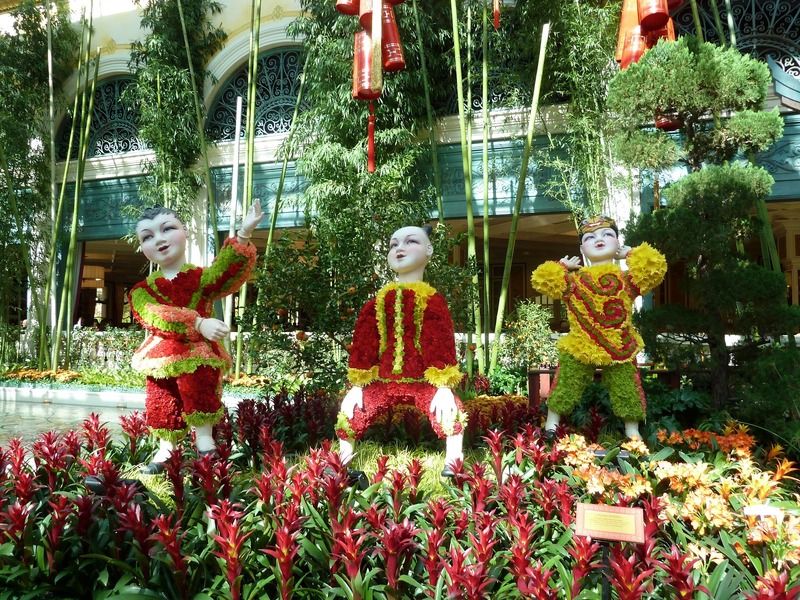 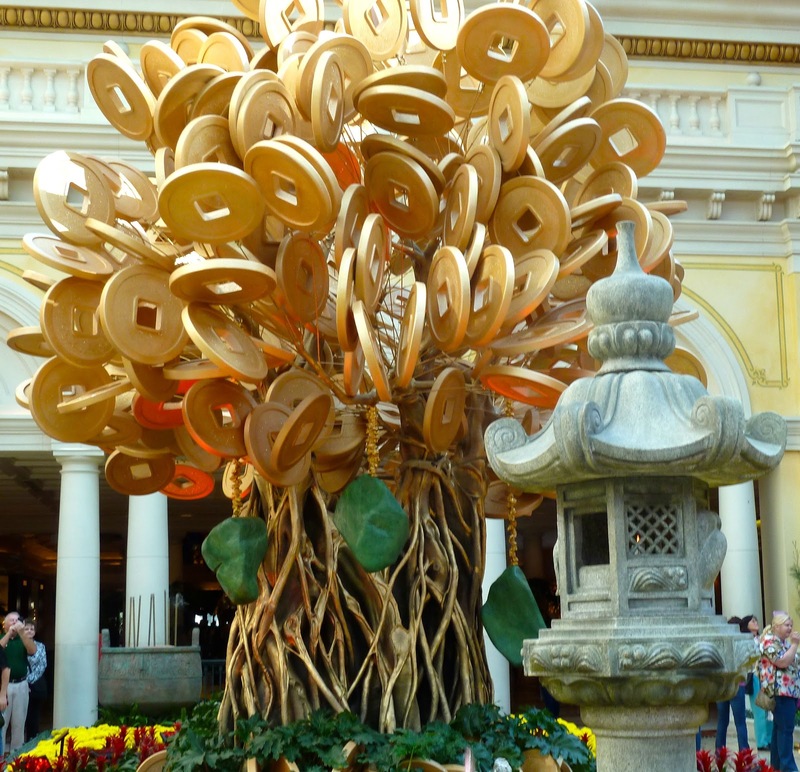 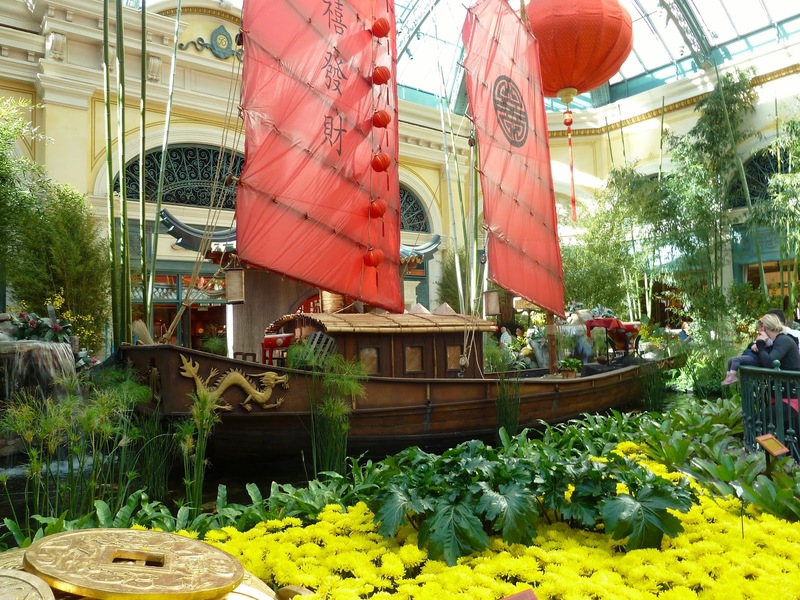 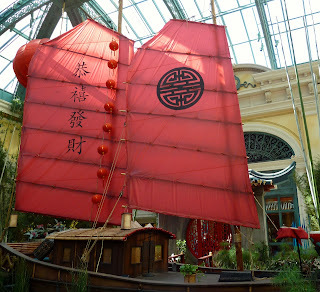 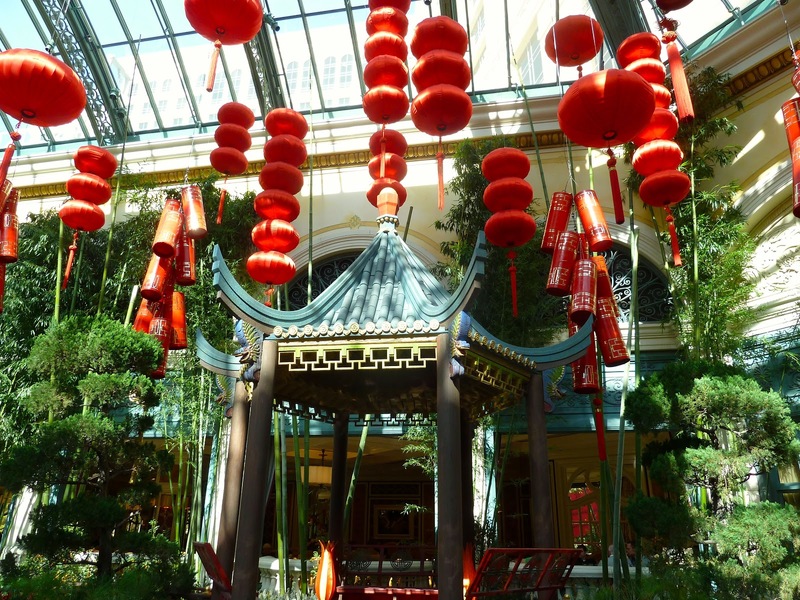 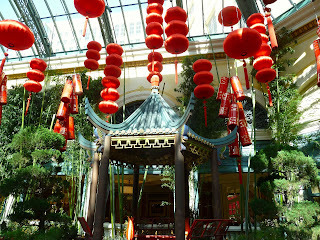 After leaving the Atomic Museum we drove over to the Bellagio to see the Chinese New Year themed display in the Conservatory. 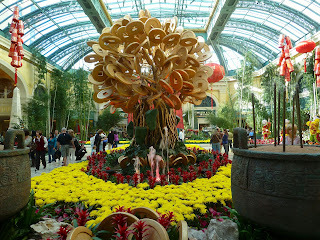 They change the theme from time to time and this one is on display until 3 March. This is the Chinese Year of the Snake.Ironic that with my fear of snakes I was born in the year of the snake in 1941. Should have been in the year of the dog since I have always loved dogs. The display was beautiful and my photos don't do it justice. 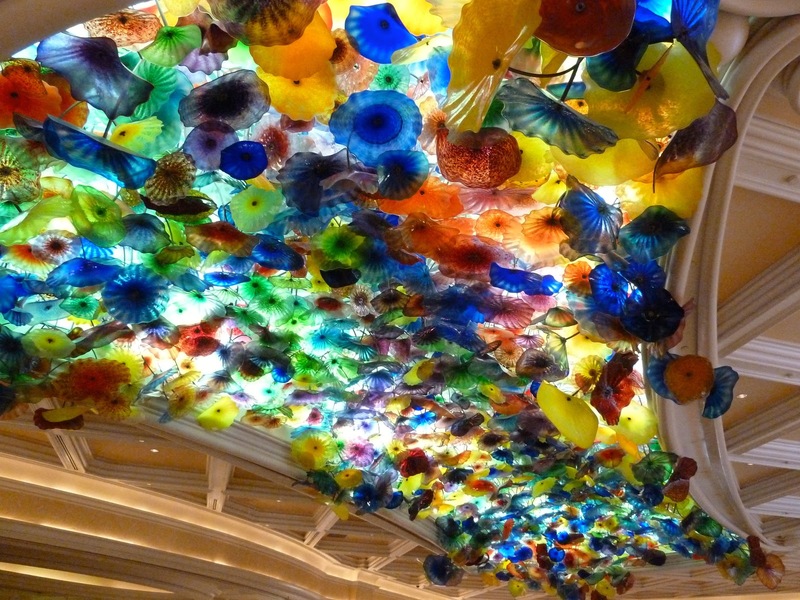 The Dale Chihuly exhibit suspended in the lobby consists of 2.000 glass flowers and is beautiful. 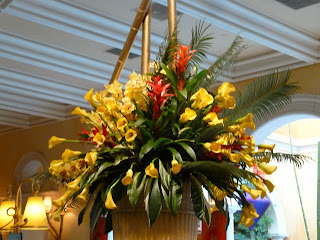 In the lobby are many large fresh flower arrangements. 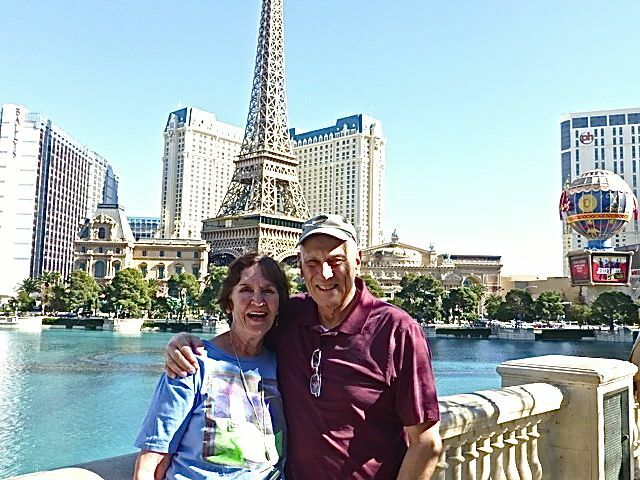 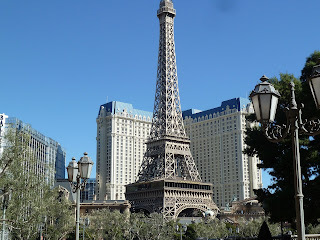 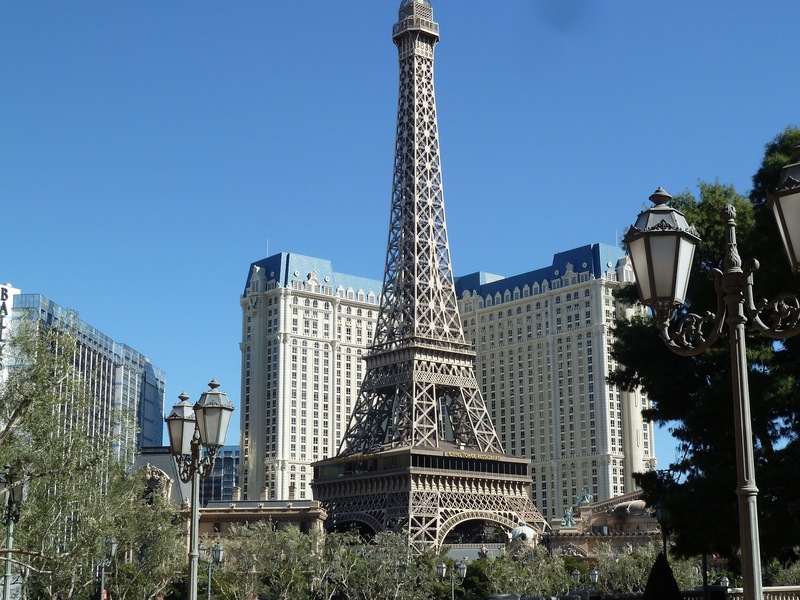 We then walked over to the Paris Hotel for lunch. Only spent $5 on one slot. 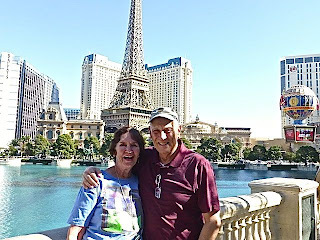 We have had very good weather here with temps in 60's and 40's at night. 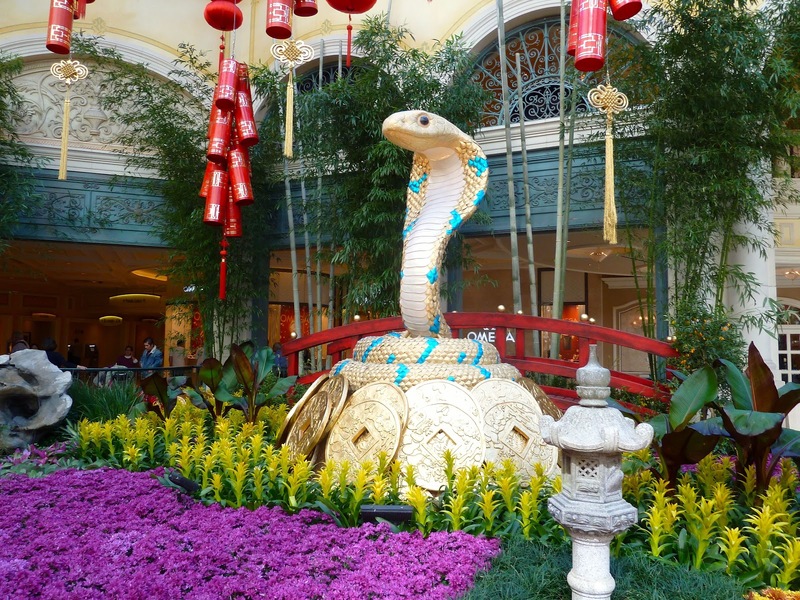 The display is amazing! 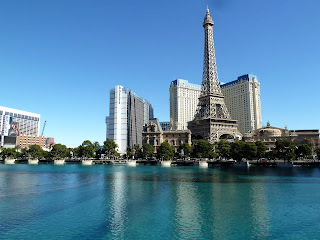 Glad you shared your pictures.